Depending on the location of your "swamp" (evaporative) cooler (rooftop) - you may feel more comfortable calling in a pro to take on the de-winterizing task. We really don't want any stories of you falling off the roof. If you need a recommendation, call or text us at 720-314-8462 or is you go through all these steps and still do not have a properly working unit, we can help you find someone who can help you keep your cool this summer! For lawn and garden enthusiasts, spring is the most wonderful time of the year. It’s the season when flowers, trees and grass come alive with color — so long as they get the sunshine and water they need to thrive. When Mother Nature can’t hold up her end of the bargain, lawns and gardens need a little help from us humans. A garden hose or watering can will suffice, but homeowners with underground sprinkler systems know that the most convenient way to keep a healthy lawn is to automate the process. That’s not to say that using a sprinkler system is a completely effortless process. In fact, shutting down the system for winter and reopening it in the spring are two fairly big jobs. But if you do them well, your only worry in between should be avoiding the sprinkler heads with the lawn mower. Dewinterizing and starting your sprinkler system for the spring may take two hours or more, depending on the size of your property, the number of sprinkler heads and the condition of the system. Before you take the first step toward dewinterizing, you need to make sure your lawn agrees that winter is over. Use a shovel to dig at least one foot into the soil in an inconspicuous part of your lawn. If you strike frozen ground, you’re too early and should wait a week or two before conducting another dig test. Starting your sprinkler system while the ground is still frozen can result in broken water lines during the startup process or even hours later, if the ground is cold enough to freeze the water in the lines. If your watering just can’t wait, you’ll want to hook up the hose and do it the old-fashioned way while the soil thaws. Dewinterization starts at your sprinkler system’s brain — the main irrigation control panel. These are often installed outdoors, so you’ll probably need to wipe away a layer of dirt and clear out some cobwebs. Turn on the control panel and review the current settings for time, date and irrigation zones. If your system has a battery backup and the batteries are more than six months old, this is a good time to replace them. All control panel models are a little different, so if you don’t have your system’s original documentation, find a copy online by searching for your panel’s model number. One of the most time-consuming steps is the inspection and cleaning of every sprinkler head and valve. The bigger your lawn is, the more time this will take. Inspect the sprinkler head assembly for damage. If the nozzle is damaged, unscrew it from the head and buy a replacement at your local lawn care center. If there’s more extensive damage to the entire head assembly, the repair can be a bigger project that you might want to outsource to an irrigation maintenance professional. Clean the nozzles thoroughly. An old toothbrush helps with this job. Any obstruction will affect the spray pattern, and that could result in some areas getting too little water while others get too much. Make sure the sprinkler valve is closed, unless it’s the valve farthest from the main water source. You’ll want to leave this valve open and remove the sprinkler nozzle to allow air to escape when you turn on the water. If your system has multiple branches feeding off a main line, you should open the valve and remove the nozzle of the last sprinkler on each branch line. The next step is to open the main water valve, and this is where rookies can make an expensive mistake. Opening the valve too quickly sends a rush of water and air through the system, creating an effect called a “water hammer”. This surge of pressure can crack pipes, break valves and even send sprinkler heads rocketing into the air. Slowly open the main valve until you can hear the water begin to flow, then wait for several minutes as water feeds into the main line. When you’re ready to continue, open the valve just a few degrees wider every couple of minutes until it’s fully open. In a system where branch lines feed off the main line, there may be an additional valve where each branch line meets the main line. After completely filling the main line, you’ll need to repeat this slow-and-steady process at each branch line’s main valve. Once all these valves are open, it’s time to check the faraway sprinkler valves that you left open earlier. With the sprinkler heads removed, any dirt and debris trapped in the line should be flushing out. As soon as the water flowing out looks clear, close the valve and screw the nozzle back into place. Your sprinkler system is now primed for its first watering of spring. And if you didn’t make any major changes to your system or landscaping since last year, you might not need to make any adjustments to your sprinkler nozzles. But it’s still worthwhile to test the irrigation of each of your zones, one at a time, to verify that your spray patterns are getting water where you need it. Use your control panel to start the irrigation program for a single zone, then go watch your sprinklers at work. If you have any malfunctioning sprinkler heads, this is when you’ll notice them. And if your sprinklers have unusually low pressure, that’s often a sign of a water line break. You should watch for soggy spots to develop in your soil to pinpoint the area of the break, then shut down the water at the main valve until you can get it repaired. If any nozzles need adjusting, take note of all the changes you want to make in the zone before turning off the sprinklers. You can only make the adjustments while the sprinklers are off, so this will spare you additional trips back and forth. There are markings on top of each nozzle that indicate their spray patterns. To adjust a nozzle, unscrew the ring that holds it in place, lift it out of the head assembly and reinsert it with the markings pointing in the desired direction. Screw the ring back on and you’re good to go. After working through each zone individually, activate your full irrigation program for one final walk-through inspection. If you like what you see, you’re all done until it’s time for winterization! And if you're just not ready to take on this DIY project, give us a call or shoot us a text 720-314-8462, we're happy to recommend a professional who can do the job for you so you can spend time doing those things you actually enjoy! Information courtesy directenergy.com/blog/ and their contributing writer, Josh Crank. Easter blessings from Tim and Sandy Jones, Jones Team Colorado. We extend our wishes to you and your families. Give your master bedrooms a refresh. 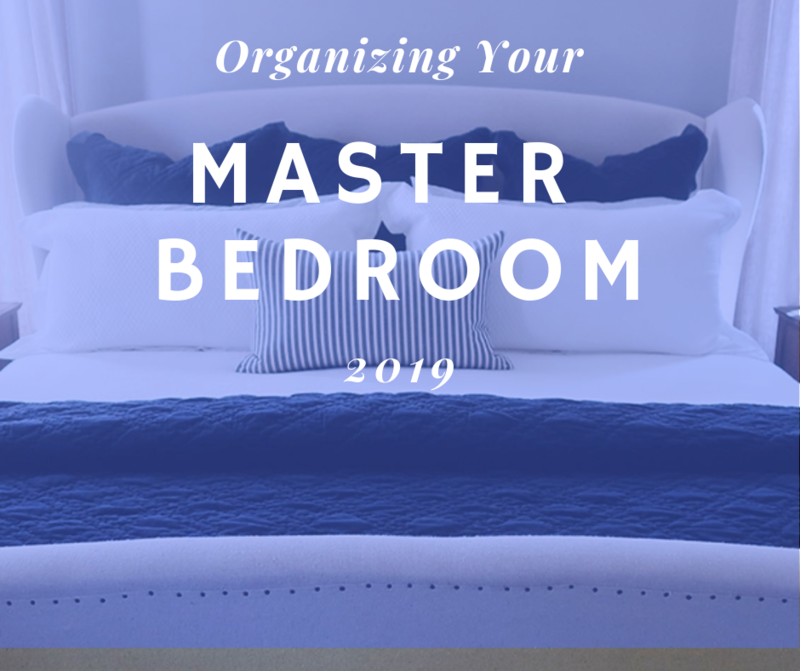 Purging clutter, setting up organizing systems, and clearing out the dust bunnies from underneath the bed will give you a fresh perspective about your Master Bedroom. Once completed, your newly organized master bedroom will be simple, clean, and clutter free. Don’t keep clothes in the dresser drawers (keep them all in the closet), no more book shelves in there anymore, and the room will be free of excess clutter. You will create a peaceful environment where you are able to unwind after a long day. That is the goal. Make this space a calming place where you can relax. Here are the steps that will get you there. Keep things organized! This essential organizer is actually a lipstick organizer from Anthropologie. Use a basket to hold the books you're currently reading. Use drawer organizers and categorize each section. This keep things neat and orderly. These organizers are found at TJ Maxx. Use drawer dividers. These cedar dividers created three separate sections to organize these things. If you keep clothing in your dresser, you can still have an organized system in place. Efficiently folding and organizing your clothing saves you time and space in the long run. Use drawer organizers to corral socks & undergarments. Set up a seating area (if you have the space). It's great having chairs to relax and read or watch television. Interior designers suggest channeling the heady velvet upholstery trend in a strong color, like forest green or peacock blue, when sourcing an ottoman. You can also choose an ottoman with legs to create the illusion of additional space – especially modern with high-shine brass turned legs to add extra visual space to your bedroom design. Since Master Bedrooms are one of the Top Three rooms in a house buyers consider most important, we want to help you add the most value to this important space. And if you're staying for another ten years, we just want you to enjoy it in style and comfort! We all have our favorite rooms in the house, be it the kitchen, bedroom, or even bathroom. For many of us, it’s the room that offers the most reprieve from our daily lives that we love the most. However, it could be the room in which you invested the most time, money, and effort into making it perfect that becomes your favorite. This is a question we set out to answer. We have previously discussed the varying costs of renovating certain parts of your home, but when it comes time to sell your home, you can often find yourself scrambling to make everything look as good as possible. 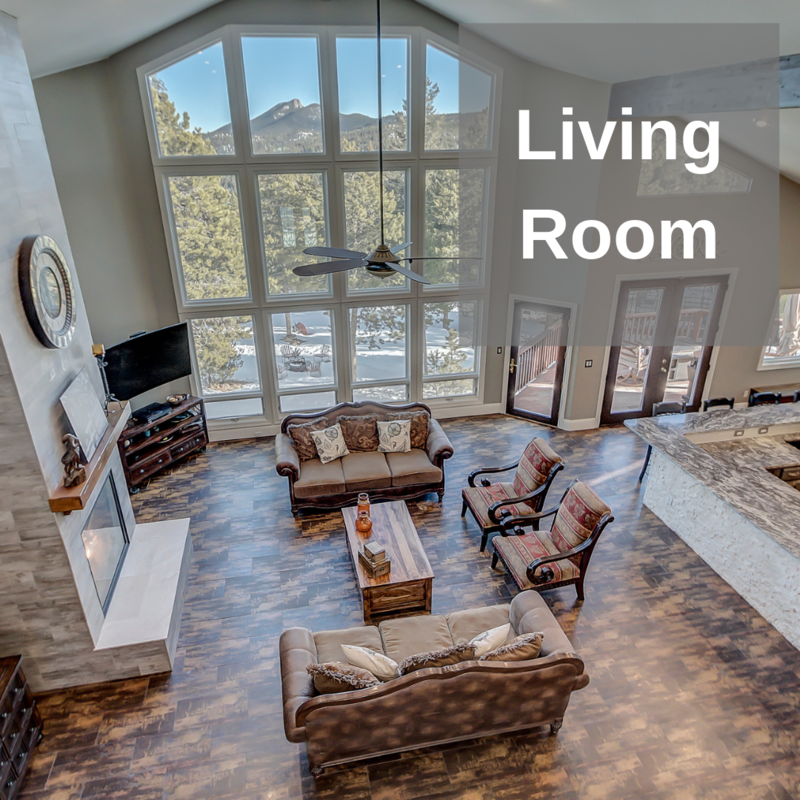 But what rooms in your home have the most value placed upon them? As a whole, the two rooms in which the most value is placed are the living room and kitchen, each picked at a 28.1% by the respondents. 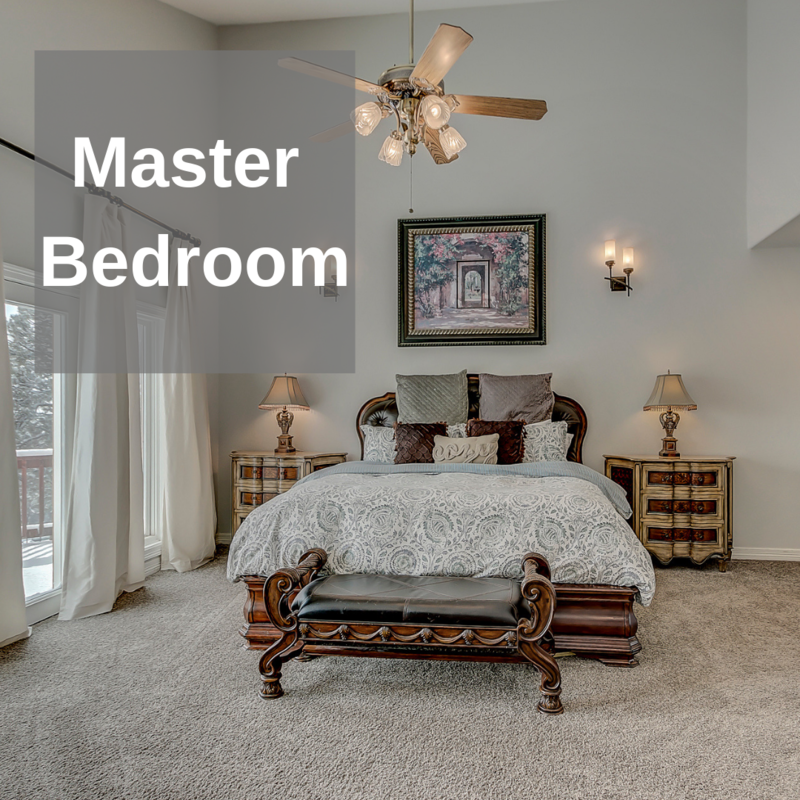 The master bedroom was not too far behind, as 19.3% of people picked that. This makes sense, as these rooms are usually where the most activity occurs. Your television watching, your cooking, and getting ready for the day are all activities respectfully represented by these three rooms. And the rooms we are in the most often are the ones that are going to mean the most to us, financially speaking. So when you are planning which of your rooms to renovate for your family, consider which one you are in the most. If you are in the position of selling your home, you’ll want to know which room to stage the best in order to have a better chance of it being sold quickly. Obviously it’s impossible to renovate a room on very short notice, but playing the odds could make a big difference. Do you live in a neighborhood where the prospective buyers are Boomers? Then spend the majority of time on your living room, as that’s where almost 32% of respondents aged 55-64 placed the most value. Or perhaps it’s a neighborhood with a lot of young first-time buyers? Focus on the master bedroom, because nearly a quarter of respondents aged 18-34 picked that room. Another interesting note: 14% of those who identified as parents said they value the kitchen the most. On the flip side, 27% of those who identified as non-parents said the same of the kitchen. There’s interesting sociological conclusions to be drawn here, we’re just not sure what. But it relates to our view that knowing your audience is key. The room that matters most seems to vary greatly depending on age, which also seems to have a direct correlation to how often one is at home. For instance, 21% of respondents aged 55 or older said the garage was their most valued room. It is likely that most of these folks are retirees who work on their at-home projects in the garage, which means they are at home a lot. Comparatively, the master bedroom earned the least amount of votes for that same age group. That room was most important to the 18-34 year olds, earning nearly 45% of the vote. This could mean that people in that age bracket aren’t home a lot, but when they are, they spend a lot of their time in their bedroom. Not all of the stats surprised us, however. If you guessed that women would say the most valued room to them is the kitchen, and that the most valued room to men is the living room, then you win a gold star. 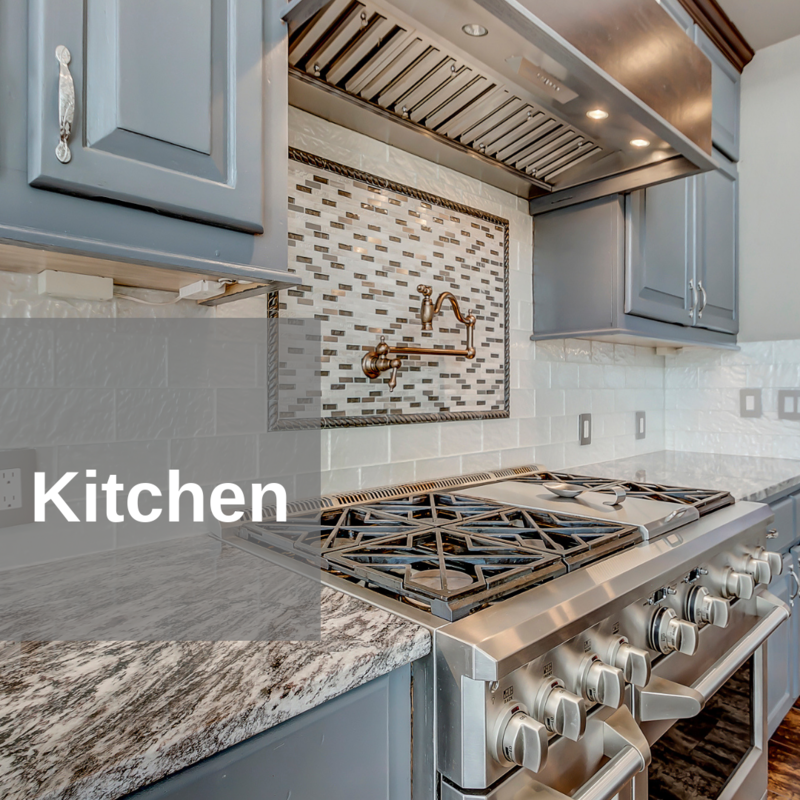 For women, a whopping 35% said that the kitchen was the most important space, while for men they ranked the living room as most important (29%). The Choice Home Warranty survey asked respondents “Which room do you value most in a home?” using the Google Consumer Surveys tool. The survey ran in April 2015 and gathered 1,101 responses. Results are weighted by inferred gender and region to reflect the population. After forcing game 163 last season, the Rockies will take on their division rivals during Opening Day at Coors Field. After traveling home from a week in Florida, Pitcher Tyler Anderson will start the game against the Los Angeles Dodgers this Friday. The boys in purple are hoping for a win to prove they can make it back to the playoffs and reclaim victory over the NL West. Fans who attend the game will receive a “Go Rockies” towel to rally the team to victory! There are SO many great places to live near #CoorsField within walking distance of the ballpark. If you love baseball, we can get you close to the action so that parking and getting to as many #Rockies games this year is never a problem. Send us a PM and we'll hook you up! Here's a handy list to keep around that will save you time and money with a variety of common, everyday tasks around the house using, reusing, re-purposing items most homeowners already have around. As you prepare your home for spring, you may also have thoughts of selling, to upsize, downsize or rightsize your home. So you may find this list particularly handy to have around. Good for more than scribbling the day's to-do list, a short pencil can also help you draw out the last drop of toothpaste from the tube. Starting at the end, wrap the mostly empty tube around the pencil, then roll the pencil up until you extract the tube's contents—and extend your budget! Sponges soak up everything in their path, including the funds required for frequent replacement. Fortunately for the budget-conscious, half a sponge packs as much grime-fighting ability as a whole sponge. So, you can get twice the utility out of one sponge by cutting it into two pieces. Unless you own a dual-flush toilet, you're probably dumping way too much water down the drain with each flush, which in turn raises your water bill. Flush smarter by adding a brick or full plastic water bottle to the toilet tank. The extra bulk will raise the tank's float arm faster, which means you'll need less water to fill the tank. Before you dispose of disposable razors, try sharpening them with an adaptable accessory already in your wardrobe: a leather belt. The particulate grit on the underside of a belt acts as a strop, refining the dull edges of the blade until it is as sharp as ever and ready for many more shaves. Grit and gunk that collect on your refrigerator’s condenser coils can put the hardworking appliance into overdrive—and this can lead to sky-high energy bills. Using a vacuum cleaner with a crevice-friendly attachment, banish unsightly accumulations from the coils for improved energy efficiency. Just as hosiery brings polish to an outfit, it can add luster to surfaces around the house. Slip old, outworn tights or pantyhose onto your hand like a glove, and then buff dusty lamps, dingy furniture, and other accessories to achieve polished perfection—no commercial cleaners required! When water is at a premium, save your wallet and the environment by DIYing this slow-drip watering device for your garden bed. Constructed from a perforated water bottle filled with absorbent socks or strips of denim, the device can be planted next to young seedlings to continuously hydrate growing roots. Don't cry over spilled milk! Instead, put that empty container to good use. Empty milk containers or other large bottles placed in a half-full fridge can help increase cold air circulation and reduce your electric bill. Those frosty empty jugs keep the surrounding items cold, maintaining a low average fridge temperature—and a lower utility bill. The flexible mesh bags that commonly house store-bought onions and potatoes can be given a second life in the kitchen as pot scrubbers. Start by cutting and folding the bag into the desired dimensions, then use a yarn needle to stitch the edges closed with rug yarn. That's it! You're ready to take your new scrubber to the sink and start cutting through grease! Single-use commercial dryer sheets can make laundry day more luxurious and fresher scented, but who needs them when you can make your own! To create an all-natural equivalent, dip clean, cut-up rags into a solution of vinegar and essential oils. The sheets can be stored in an airtight container until needed and then reused for countless spin cycles. Skip the AC (and the AC bills) this summer by creating your own DIY air conditioner. Consisting of an old fan placed atop a bucket that holds a natural cooling source—frozen water—this quick hack will help you stay cool and comfortable as you soak up summer. If you’re down to the last few shards of that bar of soap, don’t replace it. Instead, reconstitute the soap slivers into a like-new beauty bar! Start by melting the soap scraps over the stove. Then, pour the mixture into soap bar molds, letting the bars dry before you lather up. In lieu of buying expensive organizing solutions to declutter your workshop, let mason jars or other glass containers take on the job. Rinsed, dried, decorated, and filled with fasteners or tool bits, these easy-to-come-by vessels become storage-smart accents suitable for indoor or outdoor use. If your tools aren’t the sharpest in the shed, skip the trip to the knife sharpener and consider storing them in this specially outfitted repurposed planter instead. When painted, sealed, and tightly packed with sand and mineral oil, a commonplace terra-cotta pot can help keep your gardening gear clean and the blades sharp, all at the same time. Lush foliage is a pleasant surprise anywhere but near your HVAC unit, where it can cause the system to run less efficiently. Maintain proper airflow and reduce electrical consumption by plucking weeds and pruning bushes in the immediate vicinity of the unit. When your shower curtain liner has become mired in mold and mildew, replacing it is sometimes easier than cleaning it. But if you keep an eye out for early signs of these unsightly intruders, you can keep the curtain looking good longer. When you spot the first bit of buildup, trim the bottom of the curtain with scissors to keep grime from encroaching any further. Few can resist the warmth and fragrance of garments fresh out of the dryer, but that experience becomes somewhat less appealing when you think about all the energy it takes to machine dry. A homemade rope clothesline dries just as well, and using one will not only save you money on your electric bill, but it can also lengthen the life of your threads. Before you turn up the dial on the air conditioner—and pay the price later—consider installing a ceiling fan. A fan not only allows for greater comfort and energy savings in the hot summer months, but if you go the extra mile of switching it to run clockwise when the weather gets cold, the fan can help warm up the room come winter. For a freshly manicured lawn on the cheap, don’t call your local landscaper—call your local parks department. You may be able to obtain mulch and compost from them at no cost, allowing you to beautify your front yard for the bargain price of—nothing. 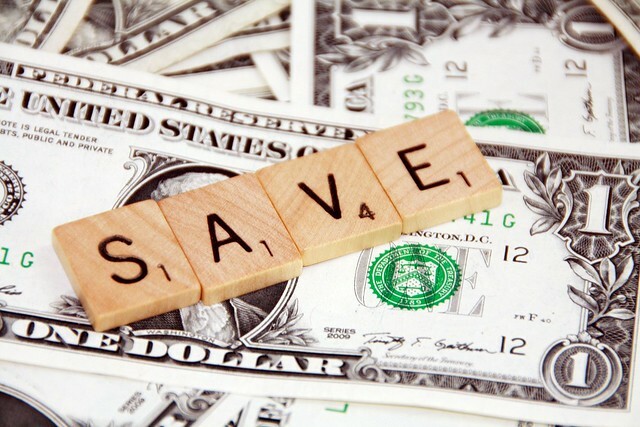 We hope you find this information helpful, useful and that you enjoy saving money and time when you put them to use in your home. If you have suggestions for other tips, tricks, trends, stats you would like to see - just let us know - call or text us at 720-314-8462. If you have questions about the real estate market, we're here to help. The Slopes are Open Later this Year! Keep your boots at the ready because ski season has been extended this year! Thanks to some additional snowfall that came late in the season, many resorts are keeping their doors open for a few extra weeks. Breckenridge and Loveland are scheduled to remain open until May, while Arapahoe Basin plans to continue operating their lifts until June 2. Most areas will have reduced operations through April, so that means there’s still plenty of time to sneak in one more day on the slopes! On Monday April 1 (no foolin') Sandy and Tim attended a Mastermind Class presented by Keller Williams International Master Faculty John & Holly Prescott. We believe this helps us serve our clients better, be better equipped to handle the needs of our sellers and our buyers in this market.